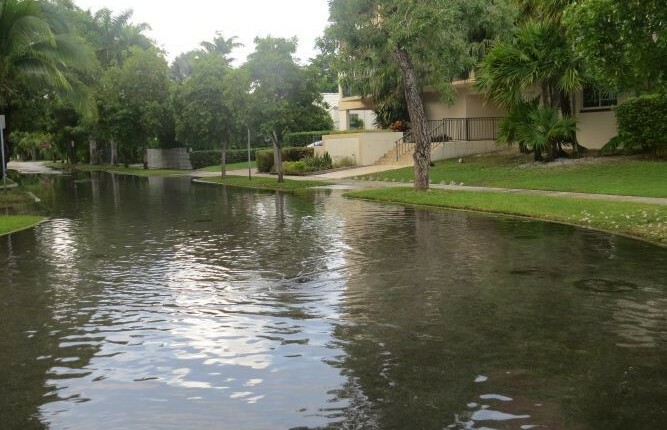 The balance – and conflicts – over preservation and the impact of sea level rise were on full display at the Miami Beach City Commission and a community meeting this week to determine the future of the Palm View neighborhood. One involves the composition of the Historic Preservation Board (HPB) and a proposed requirement that at-large members currently reside in one of the City’s historic districts. The other, a neighborhood grappling with flooding and what some residents perceive as an inability to protect their investments in their homes because of a historic designation and people who do not live in their district forcing decisions upon them. To the first, Commissioner Joy Malakoff is sponsoring legislation to change the requirement for the at-large members of the Historic Preservation Board from the current provision that anyone who has ever lived in a historic district for at least one year is eligible to serve to requiring the at-large members currently reside in a historic district. Just getting the ordinance referred to the Planning Board for discussion and recommendation proved controversial. Malakoff’s legislation does not change the interest and knowledge requirement, only that the at-large members currently live in a historic district. Another ordinance to add water management experts to the Historic Preservation Board, Design Review Board, and Planning Board as recommended in the Urban Land Institute’s review of the City’s resiliency efforts was referred separately to the Planning Board for comment. If approved, the water management experts would take one of the at-large seats on each of the three land use boards. Commissioner Michael Góngora said he wasn’t comfortable with taking one at-large seat for a water management expert and restricting the residency requirement of the other. He suggested the potential of adding two members to the HPB for a total of nine to accommodate a water expert and a seat reserved specifically for someone who currently resides in a historic district though he said he would expand the requirement to include people who live in historic homes whether or not they are physically located in a historic district. The second part of the legislation – prohibiting Board members of the Miami Design Preservation League (MDPL) and Dade Heritage Trust from serving on the HPB – gave other Commissioners pause. Malakoff said she wanted to avoid any appearance of Sunshine Law violations. The Sunshine Law prohibits members of the City Commission and all Boards and Committees from discussing outside of public meetings any business that might come before them. Commissioner Micky Steinberg said, “Each organization has their rules and regulations about what they can and cannot do and we have a code of ethics in the City of Miami Beach for our boards” which she believes prevents issues. Unless the residency requirement and Board prohibition requirement are bifurcated, she said she wouldn’t support the ordinance. She supported Góngora’s suggestion to include anyone who lives in “an individually designated historic home… I think that’s reasonable and it does open up the [talent] pool larger which is a good thing,” Alemán said. In her response, Malakoff echoed what Alemán said about residency and reiterated the potential appearance of Sunshine Law violations with regard to MDPL and Dade Heritage Trust Board members. From his viewpoint, he said, “We want a strong HP Board. We want the broadest talent pool and what I would say to my colleagues, if they think there’s a benefit to living in the historic district then they can vote for those candidates. We’re not prohibiting looking at candidates who live in the historic district.” Currently, he said Commissioners can review applicants and make a determination that someone who lives in a historic district would be an asset to the Board and vote for their appointment. “But what this does is excludes a whole bunch of people. Why not let them all come to the table and then let’s pick the best candidates wherever they live,” Samuelian said. Jack Johnson, President of the MDPL Board, reminded Commissioners that the MDPL bylaws prevent Board members who are also on the Historic Preservation Board from “participating in any discussion regarding issues that will, are or could possibly come before the Historic Preservation Board.” He noted that MDPL’s official positions before the HPB are not made by the board of MDPL but rather the Advocacy Committee. “No one who serves on the HPB is allowed to serve on our Advocacy Committee,” he said and if and when issues come up that might present a conflict, an HPB member must leave the room. Mayor Dan Gelber reminded the Commission this was simply a referral item and that it still needed to come back to the Commission for two votes on first and second reading. It requires a 5/7 vote to pass. The item was amended to include currently living in a historically designated home as one additional option for eligibility. The vote to refer the item to the Planning Board was 6 to 1 with Góngora voting against. With regard to the current HPB members, while there are no historic district residency requirements for the seats that are not designated at-large, the MDPL and Dade Heritage Trust representatives currently reside in historic districts. Scott Needelman who was nominated by MDPL lives in the Flamingo Park Historic District and Kirk Paskal, the Dade Heritage Trust nominee, lives in the new Tatum Waterway Historic District. John Stuart who holds the registered architect position lives in the new Normandy Isle Historic District. At its meeting Tuesday, the HPB passed a resolution 5-0 opposing the residency requirement legislation and to add a requirement that water management experts on the land use boards “have knowledge in architectural or urban design and the preservation of historic buildings.” Two members were absent. Meanwhile, about 30 people attended the second community meeting to discuss the future of the Palm View neighborhood. The City has hired a consultant to determine how to address concerns about the impact of flooding on homes that are part of a historic district which imposes restrictions on their demolition and the type of improvements that can be made. The neighborhood is in a low-lying area next to the Collins canal and across from the Miami Beach Convention Center and the soon to be constructed park there. At the second meeting this past week, Siegel tried to lead the group through a “building typology” exercise where participants looked at different styles of architecture and ways to use greenspace in the event new construction is allowed and usable greenspace identified. The group was given red, yellow, and green dots to indicate their preferences on a sheet with a number of pictures, red for “no”, yellow for “maybe”, green for “yes”. Several residents objected that non-residents were voting as well. While City staff hastily passed around a new handwritten sign-in sheet which asked if attendees were residents or not, the completed photo montages with colored “voting dots” were handed in without attribution to residents or non-residents. One of the main frustrations residents have raised about their historic designation in 1999 and continuing until the present day with HPB actions, is that rules and decisions about what they can do with their homes are being made by outsiders. At the first meeting, resident Luz Latorre said a petition opposing the designation in 1999 was signed by 43 people. Only 21 people indicated they were in favor of the designation yet the Commission voted to historically designate the area. Following the building typology exercise, participants moved into breakout groups to discuss their vision for the neighborhood. Four of five groups sought de-designation (which would require a citywide vote) and/or some kind of zoning change. 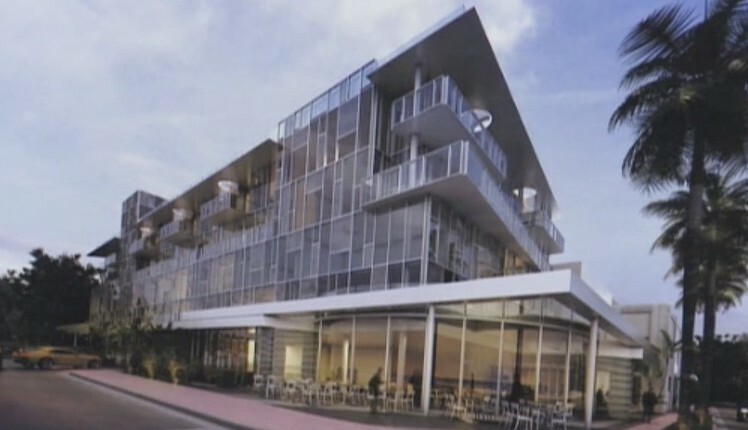 Suggestions included making the boundary on 17th Street commercial to create a connection with Lincoln Road and be compatible with the commercial area across the street; allow five-story multi-family construction on Meridian adjacent to the Convention Center; and add more street lighting. He noted “There are a lot of homes here worth keeping” but added there are “houses that are falling apart and, unfortunately, there are no exit strategies” for the owners.